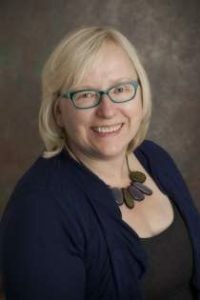 How does a firm find its customers? How does it communicate with them? In the glory days of the British wool fabric industry during the mid 1800s, the mills of West Yorkshire sold their output to wholesale merchants through the large rambling Coloured Cloth Hall in Leeds. 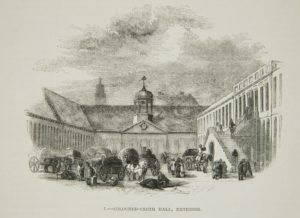 1.1 Exterior of the Coloured Cloth Hall, Leeds, 1850. Author’s collection: The Land We Live In, vol. 3 (London: Charles Knight, 1850), 116. Those merchants in turn sold the fabric to makers-up and tailors across Britain or packed it up for shipment to markets around the world, from Japan to the United States. As trade barriers and shifting markets put pressures on costs, the relationship between the mills and their customers changed. Most mills did not survive the transition. Design has played a crucial role in the prosperity of Abraham Moon and Sons. As early as the 1850s, some Yorkshire designers were reaching out to London merchants, and by 1875, Abraham Moon had established a London office for selling cloth to makers-up in the East End and to shipping merchants who served the global market. Over the years, the firm capitalised on its reputation for design to reach out directly to makers-up and then multiples to reduce intermediary costs and to incorporate their customers’ needs into the design process. Agents were engaged to open up and develop export markets at a time when the home market was shrinking. 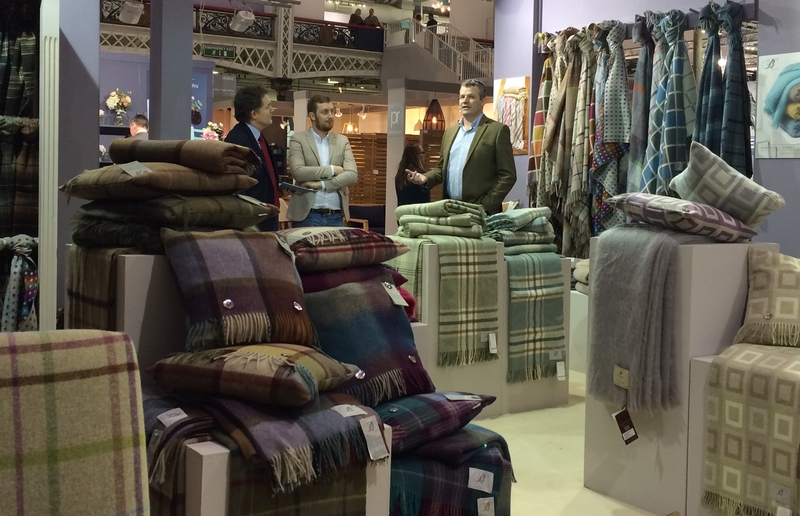 9.1 The sales and marketing staff from the mill interact with a guest viewing the display of Bronte Tweed and Highland Tweeds at the Top Drawer trade show, London, January 2015. Author’s collection. Today, the trade show is the primary vehicle for sales and for information exchange in the textile industry. Abraham Moon was one of the first of the British tweed mills to successfully exploit trade shows. There were well-established fabric and fashion trade shows in Paris, Milan, and Frankfurt by the last quarter of the twentieth century. Moon displayed at the Interstoff fabric fair in Frankfurt starting in 1977, learning how profitable the face-to-face interactions with present and potential customers could be. In 1981, they attended the prestigious Première Vision trade show in Paris for the first time, opening them up to increased potential for exports by exposing them to potential high-end customers from all over the world. These days, the Abraham Moon team is constantly in attendance at shows staged from New York to Shanghai. Countless other textile firms display their products, but most importantly, Abraham Moon bring their designers to interact dynamically with customers. Two hundred years ago, the wool fabric was sent to the cloth halls and the customers came to buy what was on display. Today, the trade shows serve as mobile, global cloth halls where producers and customers collaborate. Next: Abraham Moon and heritage branding in Blog Six, publishing Wednesday 20th December.